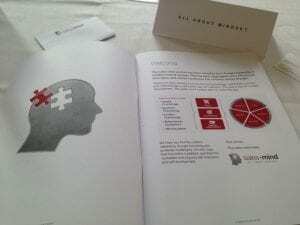 Neuroplasticity is one of the recurring themes in the sales-mind sales training programme. From whatever your start point, with the right desire we can increase our capabilities in any field as we experience, learn and adapt. What’s to know about neuroplasticity? Not so long ago, many scientists believed that the brain did not change after childhood, that it was hardwired and fixed by the time you became an adult. However, recent advances in the last decade now tell us this is simply not true. The brain can and does change throughout our lives. It’s adaptable like plastic and neuroscientists call this ‘neuroplasticity’. Think of your brain as a dynamically connected power grid. There are billions of pathways or roads lighting up every time you think, feel or do something. Some of these roads are well-travelled; these are our habits, our established ways of thinking, feeling and doing. Every time we think in a certain way and practise a particular task or feel a specific emotion, we strengthen this road. It becomes easier for our brains to travel this pathway. Every time we think about something differently, try a new task or choose a different emotion, we start carving out a new road. If we keep travelling this road our brains begin to use the pathway more and this new way of thinking, feeling or doing becomes second nature. The old pathways are used less and less, weakening them. This process of strengthening new neural connections and lessening the old is neuroplasticity in action. The good news is once we are aware of the effect of neuroplasticity, we all have the same latent capability to learn and change by rewiring our brain. If you have ever changed a bad habit or thought about something differently, you have carved a new pathway in your brain and experienced neuroplasticity firsthand. With repeated and directed attention towards your directed change you can rewire your brain. This is revelatory and encouraging to those who want to develop themselves, as science now tells us that we are not just the product of any specific talent or ability for something we were born with. Conversely, with the right application, effort and deliberative practice, we can improve any skill. Contact us to find out more about our unique approach to modern sales training techniques.